Editor's note: Richard Quest is CNN's international business correspondent and presenter of Quest Means Business; the definitive word on how we earn and spend our money. Check out his selfie challenge below and follow him on Twitter. 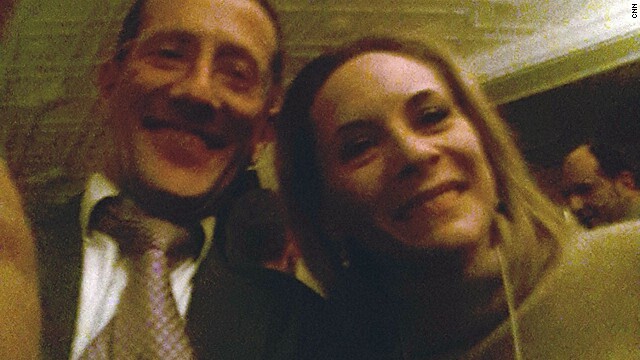 CNN executive producer Penny Manis also embarked on a selfie challenge, of sorts. See hers with U.S. Secretary of State John Kerry and follow her on Twitter. Davos (CNN) -- Selfie is the word du jour, and it became cause celebre at Nelson Mandela's funeral when the Danish Prime Minister Helle Thorning-Schmidt took a selfie with U.S. President Barack Obama and UK Prime Minister David Cameron. But there is no easy way to ask serious-minded men and women who hold high office, and who have matters of state on their mind, "do you mind if I take a quick selfie?" To be sure, they know what it is and may even have engaged in selfie-ing themselves. 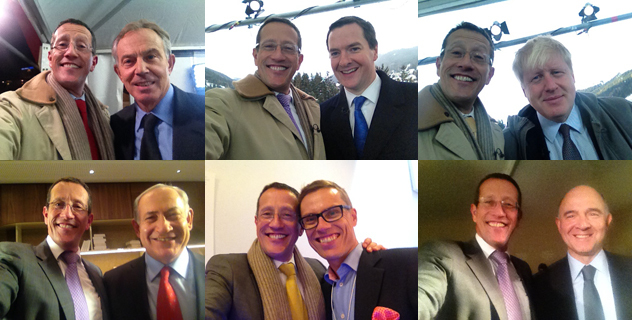 But in the grand world of Davos, it is perhaps unseemly to be seen taking selfies. Which is why I decided the selfie challenge was such a good idea. Who would and who would not agree to the selfie? Out of consideration for their feelings I am not revealing who refused. Nor will I show you the selfie of the central banker that is best left in my iPhone. No, what is here are the good and the great that said yes. And to be honest, most seem to enjoy it anyway. With Ban Ki-Moon, the U.N. Secretary-General, and Christine Lagarde, head of the International Monetary Fund. Top row from left: Tony Blair, former UK Prime Minister, George Osborne, the UK Chancellor and Boris Johnson, the Mayor of London. Bottom row from left: Benjamin Netanyahu, Israel's Prime Minister, Alex Stubb, Finnish Minister for European Affairs, and Pierre Moscovici, Finance Minister of France. From left: Bob Dudley, chief executive of BP, Christophe de Margerie, chief executive of Total S.A., Christopher J. Nassetta, who heads Hilton Worldwide, and Jacob Frenkel, chair of JPMorgan Chase International. With World Business Today anchor Nina dos Santos. And here's executive producer Penny Manis with her selfie, featuring U.S. Secretary of State John Kerry -- or is it a photobomb? 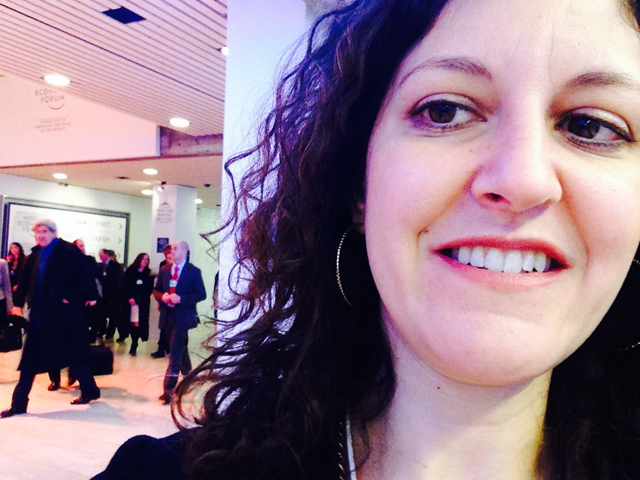 Executive producer Penny Manis makes a guest appearance with her John Kerry selfie/photobomb.